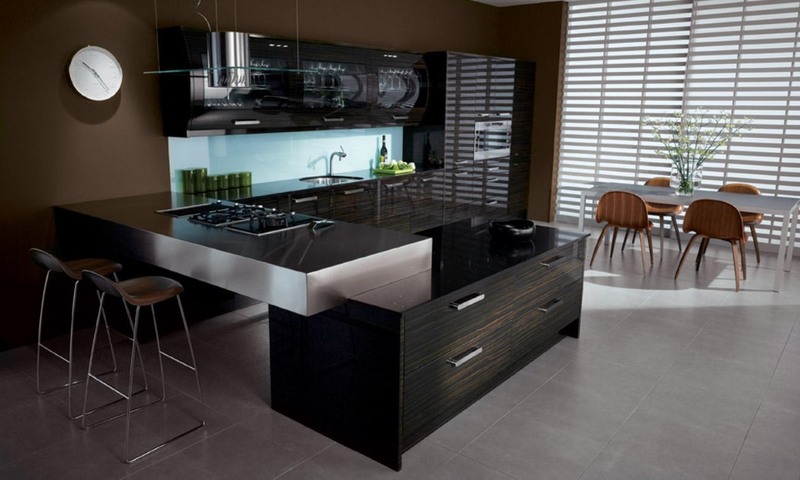 If you require a very modern look to your kitchen then the Avant gloss kitchen range is a perfect fit. 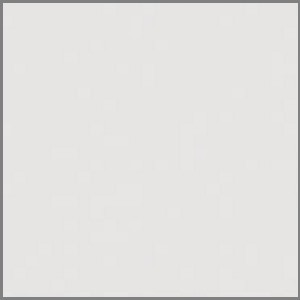 It is a slab door which is smooth, flat and has clean lines which are displayed perfectly by the high gloss finishes available with the Avant. The Avant Alabaster colour displays to great effect the clean lines and smooth perfect finish of this high gloss door. 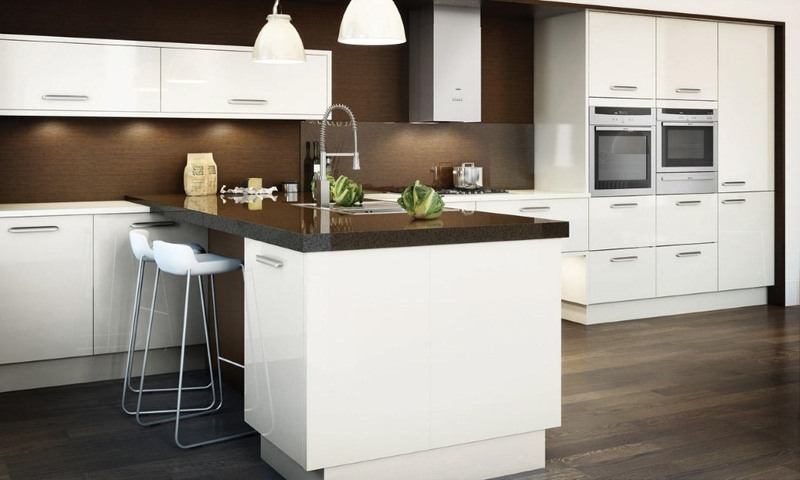 There are a wide range of doors and kitchen units available to allow you to customise your kitchen. 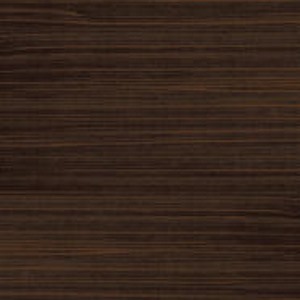 The Avant Ebony gloss has a striking timber effect. This can be used on its own or combined well with other colours to create an accent within the kitchen. Displayed here in high gloss white the Avant projects clean lines and a fuss free kitchen design. 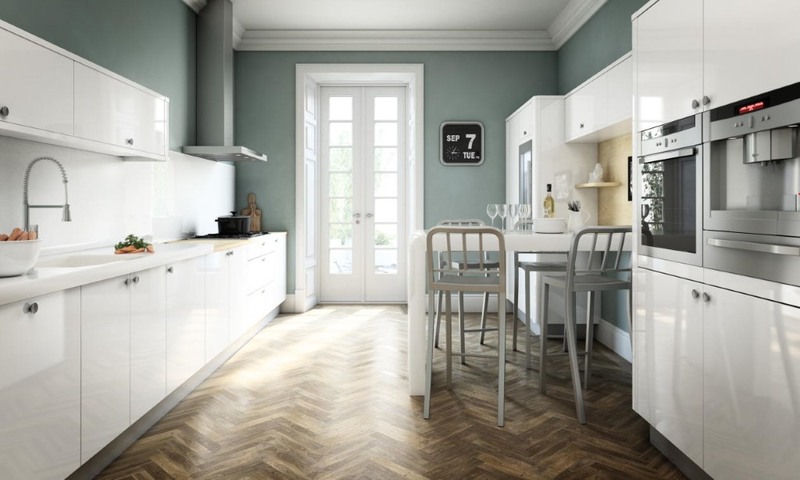 The Avant white creates a very modern looking kitchen design.